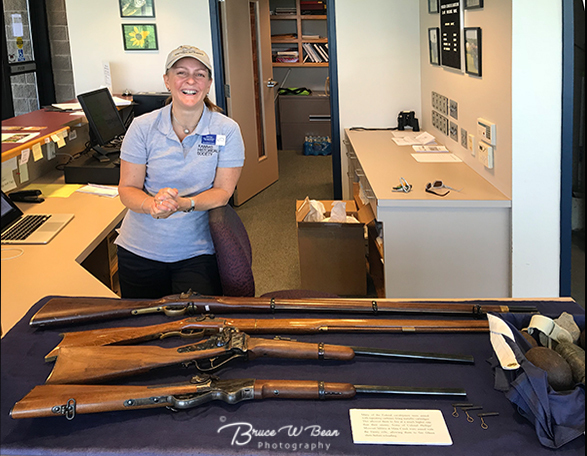 For another taste of Civil War History in the Kansas City area visitors can take a very interesting day trip south of Kansas City. 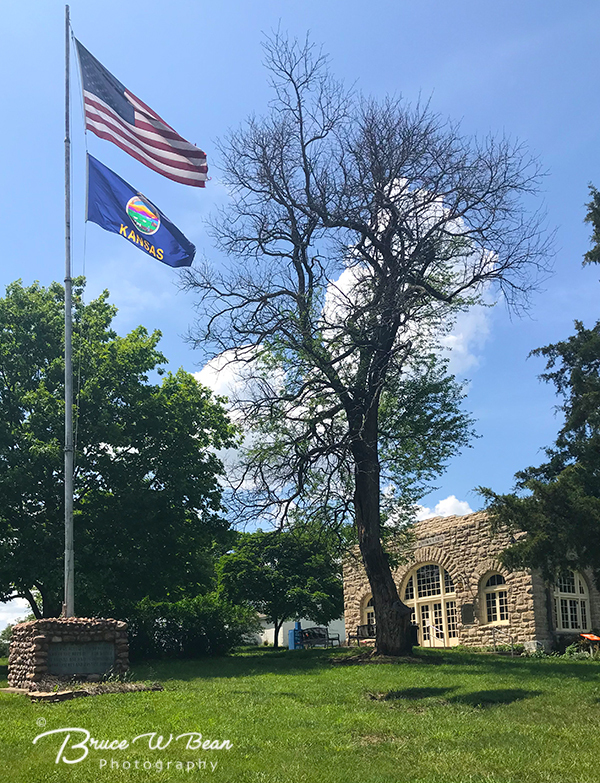 The trip offers an opportunity not only to explore various locations associated with the Civil War but it also affords an opportunity to sample some of the more rural Kansas countryside including farmlands, prairie land, and forested hills, creeks and rivers. This article presents a brief outline and overview of the Civil War Day Trip Route. 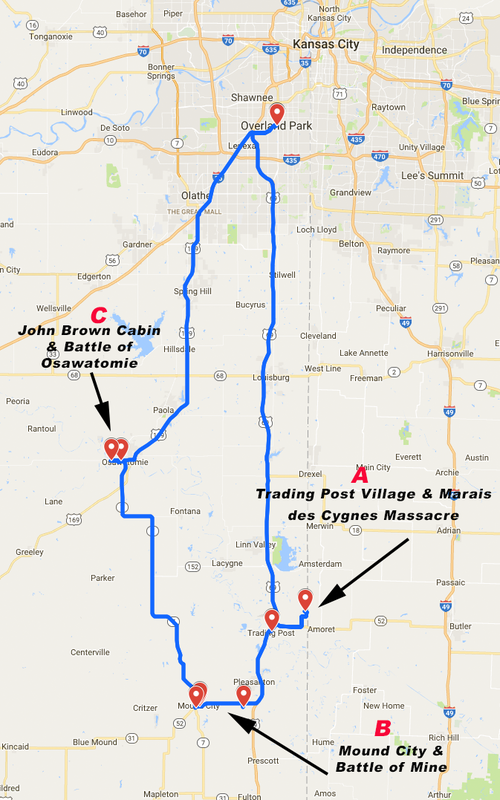 This is a driving trip and the route has stops in 3 areas indicated in the map below.. Three future follow up articles will give more detail about the sites and historical events which took place in each of the three locations. 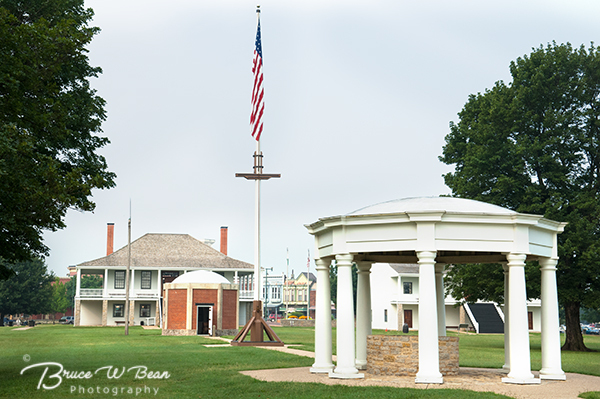 The Civil War Day Trip travels south from the Kansas City / Overland Park, Kansas area. It focuses on 3 areas as shown in the map above. The route covers roughly 143 miles, taking approximently 2 hours and 40 minutes of actual drive time ( not including stops). 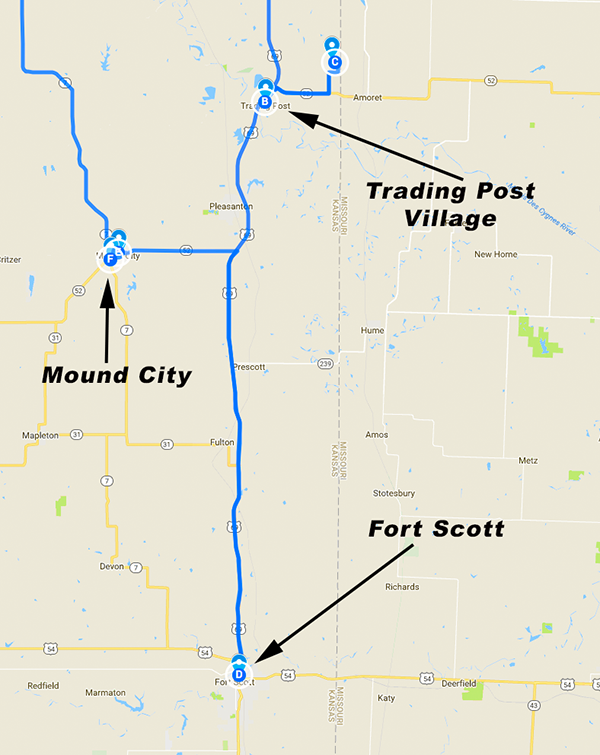 Area A – The first historical stops are in area A (shown above) and include Trading Post Village, a small rural Kansas village involved in the Marais des Cygnes Massacre, part of Pre-Civil War hostilities in the area in 1858……… and later a site of Union / Confederate skirmishes and the Battle of the Mounds in 1864. 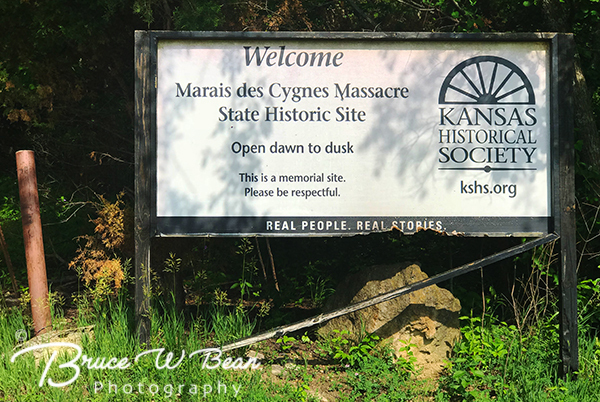 Nearby you can also visit the site of the Marais des Cygnes Massacre. 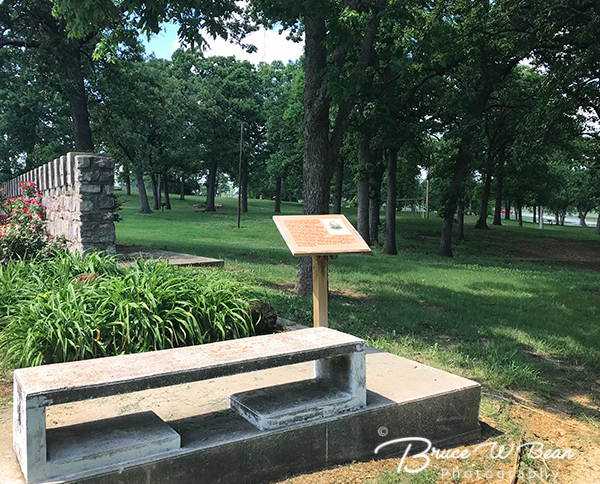 Area B – The second historical stops include the site of The Battle of Mine Creek – the largest cavalry battle of the Civil War west of the Mississippi River – where Union forces caught up with Confederate Troops as they retreated southward after the Battle of Westport in Kansas City. Nearby Mound City, Kansas was a fortified post protecting the area against early Confederate guerrilla attacks from Missouri. Later it was the site of a skirmish leading up to the Battle of Mine Creek. A local cemetery includes graves and monuments to war and battle dead. 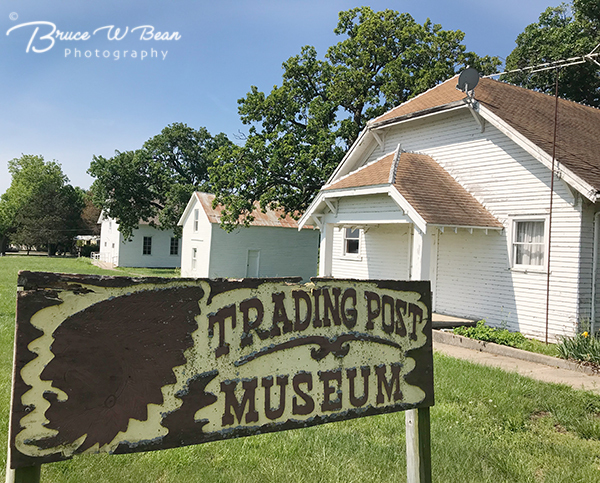 Area C – The third stop on the day trip is in Osawatomie, Kansas where you can visit The John Brown Museum and Cabin as well as walk the site of the Battle of Osawatomie – an engagement of Pre-Civil War fighting between John Brown’s Free State guerrillas and pro-slavery militia in 1856. Use the map below to view specific location information related to the day trip. The map can be enlarged for easier viewing of details. 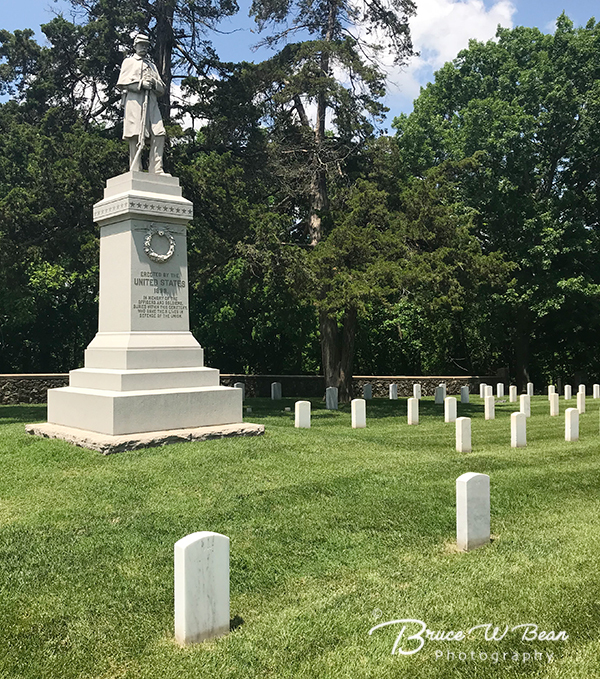 In future articles I’ll be sharing more details and lots of photos related to historical events which occurred at Stops A, B, and C on this Kansas City Civil War Day Trip – so be sure to check back. Meanwhile, Enjoy Your Travels and be sure to Drive Safely! 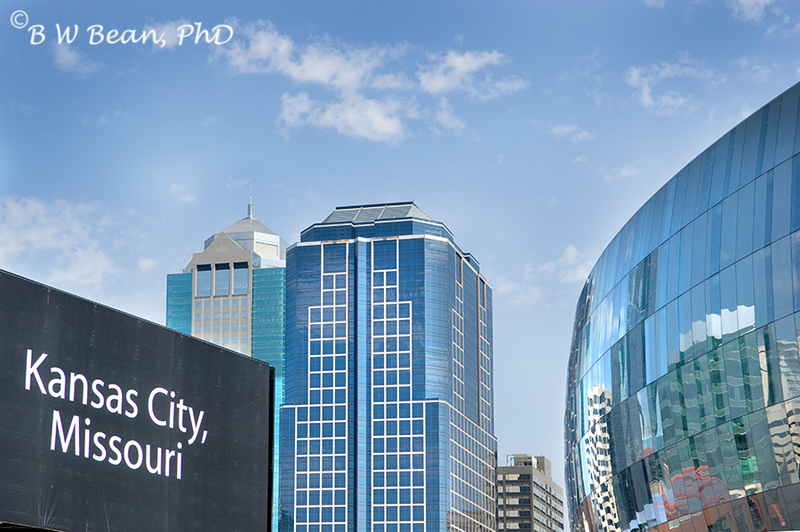 Take a Kansas City Civil Way Day Trip …….. And Enjoy The Adventure! 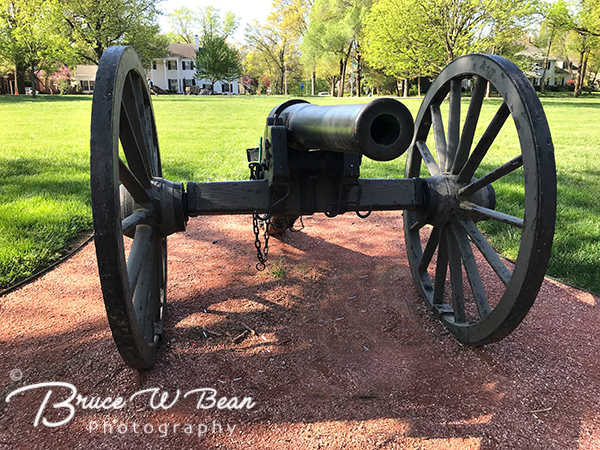 This entry was posted in Day Trips, General Photography and Travel, KANSAS, Travel, Travel & PhotoReport and tagged Civil War, Day Trip, John Brown, Kansas City, KC, Mound City by Bruce W Bean, Ph.D. Bookmark the permalink.